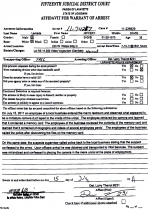 JULY 19--A government worker hid a camera inside a urinal and used the device to surreptitiously photograph and film coworkers, according to Louisiana cops. The tiny camera, which had been duct taped to the urinal, was discovered by a Department of Planning, Zoning and Codes employee working in a Lafayette office. 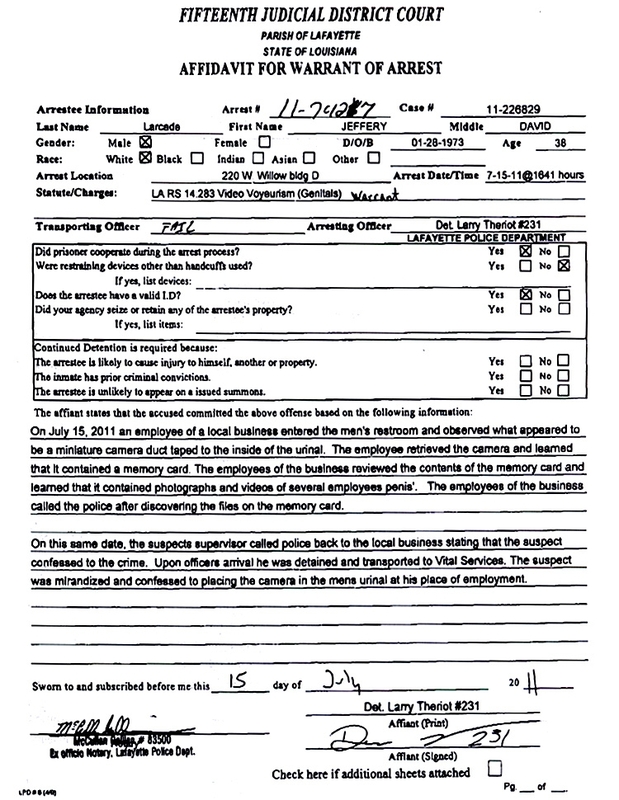 After removing the camera, the man discovered that its memory device contained images of several men, penises exposed, using the urinal, according to a Lafayette Police Department arrest affidavit. 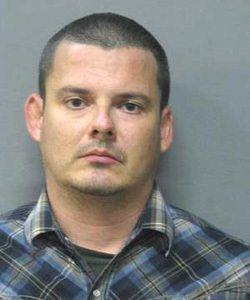 A subsequent police investigation resulted in the arrest Friday of Jeffery Larcade, 38, who worked as a city planner for 13 years before his firing yesterday. Larcade, pictured in the mug shot at right, was charged with video voyeurism and booked into the county jail. He was released after posting $10,000 bond. 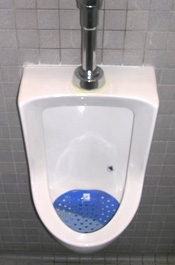 It is unclear how long the camera was in the urinal, or what was done with the photos and videos captured by the device. Though there is no evidence that the naked photos have been posted on the Internet. FBI Exposes The Terrifying Face Of "Anonymous"